This seems like a mountain worth climbing. But just as hikers take note of the corpses on the side of Mount Everest, this new commission should avoid missteps and take note of former House Minority Whip Nicholas Gorham, R-Coventry, who got voted out of office after he proposed that Exeter, Foster, Glocester, Scituate, West Greenwich and western Coventry merge into a single town called Westconnaug. ...While we plan to vote no on the proposed reorganization plan that will appear at the polls on Tuesday, Jan. 27, it is not because we totally agree with the conclusion that the five towns remain on course with their educational structure. We will vote no because the alternative organizational structure represents no improvement on existing educational practices, and represents a mere Band-Aid on the issue. In fact, we feel strongly that the five towns should make it a priority to address streamlining their kindergarten to 12th-grade public school system, not only for efficiency, but also for educational excellence. Will a new committee rise from the ashes to address these issues? 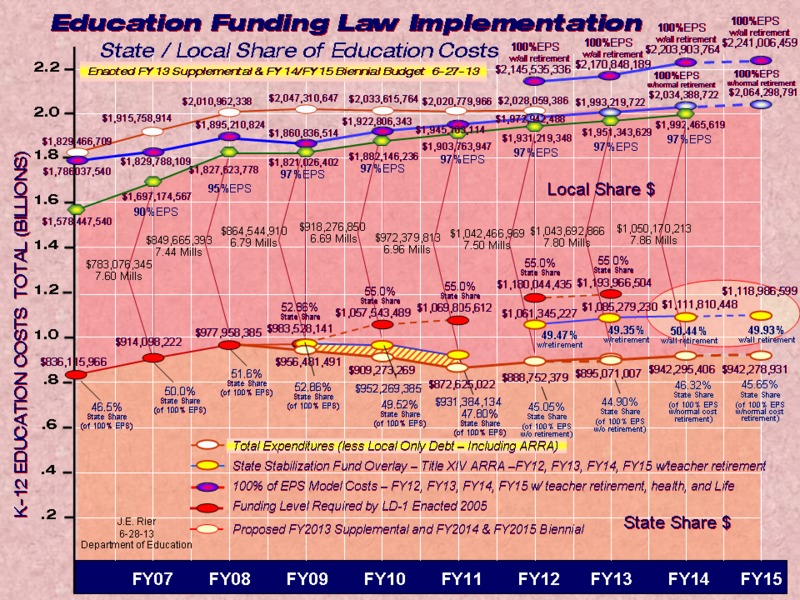 ...The cost of wage equalization, called “leveling up,” appears to be a deal-breaker for RSU 15 (Brewer and adjoining school districts), but we believe the cost will be more manageable here. Education Commissioner Susan Gendron has said that leveling up will trigger increased state subsidies, so we believe that the cost will be approximately equal to the combined penalties for failure to consolidate. ...It seems to me that there is some confusion about the purpose of the vote on Tuesday. Next week's vote is concerned only with whether the local plan as proposed should be adopted. It is not whether voters agree with statewide consolidation. ...As the product of a wonderful public education and the 1st chair concert trombone player in an excellent music program, I must reject the "tone deaf" description of me in the newspaper's Jan. 14 editorial, "Time for a little self-restraint." ...certain to be noticed by people involved in more complicated district mergers, where constituent towns are divided by demographics and geography. The merger law itself is under attack, and one of the major points of criticism is that it favors the state's more densely settled and affluent areas. The Falmouth example makes that hard to refute. ...the board of directors of SAD 23, which comprises Carmel and Levant, voted unanimously to oppose the consolidation plan. Then last week, the Carmel Board of Selectmen followed suit with their own unanimous vote against the proposal. In early December, the Hermon School Committee cast a unanimous “no confidence” vote in the consolidation plan. ...Perry said if the plan is rejected by those communities she serves, all of the communities will work collaboratively with municipal officials to cut “real costs” through shared services in special education, gifted and talented programs and transportation. Union 60 and SAD 12 already share Perry’s service as superintendent. 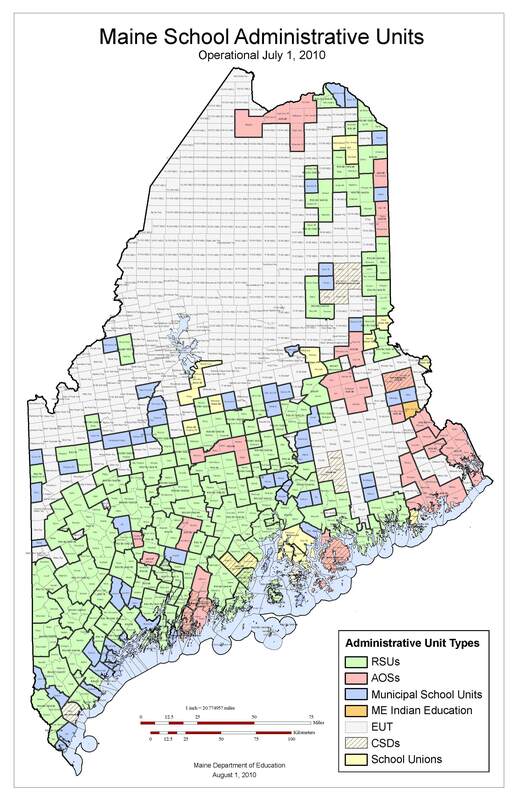 ...Consolidation saves approximately $100,000 (that's three districts together) the first couple of years. Look out after that! ...whether the creation of the regional school unit is a consolidation or a merger -- Ultimately, he said, the attorney general must make legal determination on which term applies. ...said the group did not want Gendron “to go around and around” about why the town should have a revote on joining the RSU. She said members just want to hear about the legal ramifications of their situation from the state’s perspective. ...The damage done by that diversion from the purposes of education may well be felt for years. ...If we acknowledge that the government is not completely separate from us, an alien entity, but to some extent a projection of our hopes and dreams, than we may have to also acknowledge that we may not be completely well-adjusted! ..."Governor Douglas is suggesting that elected local officials and voters do not know how to make good decisions when it comes to formulating and passing local school budgets," he says. "In these hard economic times, it is easy to scapegoat. ...I predict that the governor will have a tough row to hoe here, because he has alienated the very people who are democratically accountable for delivering a quality educational experience to all children." ...I'm inclined to vote no just to show state politicians that I don't appreciate their coercion. ...“If the voters turn the RSU down, there is a [$244,000] penalty... If the referendum passes, the hit will be far more substantial, and unfortunately will be a moving target. We know it will be well over $1 million … but it could go as high as $2 million." ...State education officials tasked the tri-town AOS committee with formulating an equitable funding formula, but committee members tossed it back to the state when their efforts failed. ..."In the long run this is a structure that is beneficial, but the changes could have been instituted a better way by the state," said Cosgrove. "Baldacci used a meat cleaver, when he could have used a scalpel." ...Smith said, in his estimation, the plan for the AOS is poorly conceived even though the Regional Planning Committee (RPC), of which Smith was a member, approved it. ...While all five of the existing school systems voted to send the question before voters in Camden, Rockport, Hope, Appleton and Lincolnville, most of these same legislative bodies also have urged the citizens to reject the referendum.